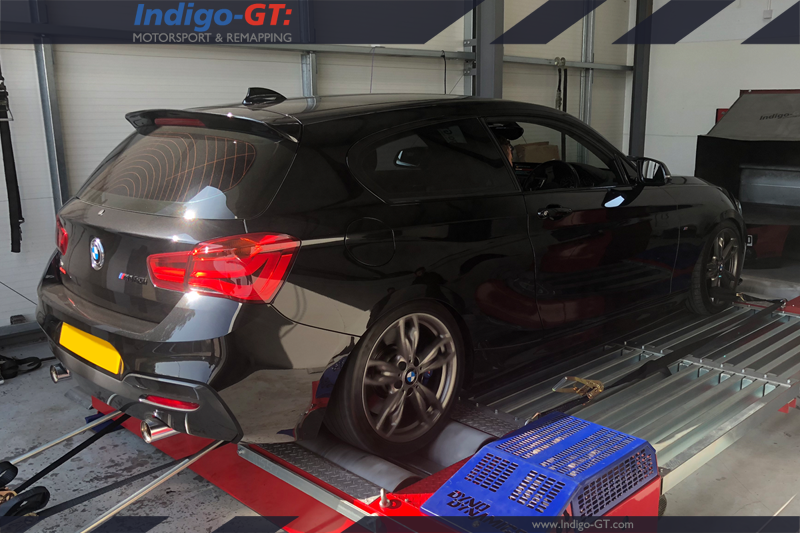 When it comes to ECU Remapping, Indigo-GT is the premier tuning centre in South Wales, our IGT-R Remapping Software is available for approximately 90% of vehicles such as BMW, Mercedes, Renault and Ford with many more brands supported. As an APR Authorised Dealer we offer the complete range of ECU Upgrades and Hardware for Audi, Porsche, Seat, Skoda and Volkswagen. 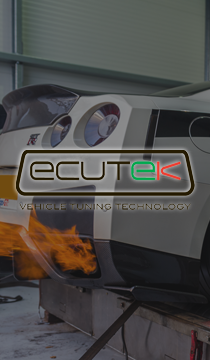 We're the only Ecutek Master Tuner in South Wales, we offer stock ECU Remapping for the Ford Focus ST & RS, BMW x35i, M3 & M4, Mitsubishi Lancer Evolution & Colt, Nissan GT-R, Subaru Impreza and Toyota GT86. For our Motorsport customers, we offer comprehensive calibration on a range of aftermarket ECU's including MoTec and Syvecs, Indigo-GT is a Link ECU dealer offering the complete range of both plug-in & wire-in ECU's and related hardware. Use the links below for more information about our remapping software options, we've also included answers to some frequently asked questions below but if there's anything in particular you'd like an answer to, don't hesitate to contact us. If you're reading this you've probably already heard the word remapping but you may not understand what the process entails, modern vehicles are fitted with an ECU (Engine Control Unit), this is essentially a computer that reads real time information from various sensors and responds accordingly by adjusting air fuel ratio, ignition timing, torque requests, boost pressure, etc, the list is quite extensive. The operation of your vehicles ECU including how it responds to the various inputs is controlled by software written by the vehicle manufacturer. By remapping the vehicles ECU, we are essentially replacing the software from the manufacturer with the aim of improving the vehicles overall performance by optimising various parameters (air fuel ratio, boost pressure etc) within the ECU. The important point to note if you're considering having your car remapped is that not all remaps are the same, there are good remaps and there are bad remaps, ultimately it all comes down to the knowledge, experience and competence of the company that's creating the software for your ECU. 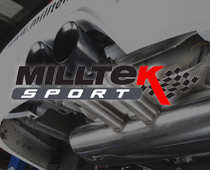 We pride ourselves on our real world motorsport derived experience supported by our extensive and continuous in-house development, we aren't just a backstreet garage with a laptop, we're professionals and this is what we do. The length of time required to remap your vehicle varies greatly but the process is typically completed in 2-4 hours. WILL IT IMPROVE MY MPG? Improving fuel consumption is one of the most popular reasons our customers choose when deciding to have their vehicle remapped, ultimately this does come down to your driving style but if you have a turbo diesel vehicle, gains of up to 10% are easily achievable, this stems from the increased torque which inherently means the engine isn't as laboured and you'll find yourself being able to get into a higher gear sooner and not have to change to a lower gear as often. MY VEHICLE HAS ALREADY BEEN REMAPPED, CAN YOU STILL REMAP IT? If the vehicle is fitted with an ECU we support then yes, we are able to overwrite the software that's already present with our own. Map Correction is the perfect solution if you've already had your vehicle remapped and just aren't satisfied with the outcome, there's a saying in the industry, cheap remaps are never good and good remaps are never cheap, unlike many of our competitors we'd don't offer generic file remapping, we do it properly. WILL MY VEHICLE BE REMAPPED ON THE DYNO? We have our own in-house AWD Chassis Dynamometer, a Dyno Dynamics 450 which is rated up to 2400bhp. Our dyno (or rolling road) is an incredibly useful tool for us as a tuning company allowing us to measure bhp and torque but it is not a prerequisite of us being able to remap your vehicle, if you'd like us to dyno your car as part of the process, please ensure you advise us accordingly when making your booking so we may allocate a dyno slot to your booking and confirm the additional cost. 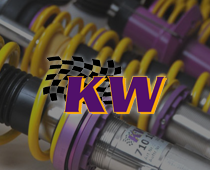 Unfortunately we're not able to run every vehicle on the dyno due to practical considerations size as size and weight and on more modern vehicles, the way AWD systems and traction control functions. IS THERE ANYTHING I NEED TO DO PRIOR TO BRINGING MY VEHICLE IN FOR A REMAP? Your vehicle must be presented to us in a safe and roadworthy condition, you should ensure your vehicles engine oil and coolant levels are correct and that the tyres are in good condition, we are unable to remap any vehicle that shows signs of electrical and/or mechanical faults, if you have any concerns then we'd advise you to discuss this with us prior to making a booking. WILL I NEED TO SERVICE MY VEHICLE MORE OFTEN? As a rule vehicles that are having an Economy, Stage 1 or Stage 2 Remap should follow the manufacturers servicing schedule, Stage 3 and above may result in additional servicing requirements. I'M EXPERIENCING DPF AND/OR EGR PROBLEMS, CAN YOU RECTIFY THESE FAULTS? Providing your vehicle is fitted with an ECU that we're able to remap then yes we can, DPF and EGR faults are incredibly common on turbo diesel cars and often lead to incredibly high bills, a new DPF can cost up to £1500 and there's always the possibility it will have to be replaced again, we offer a complete solution to both of these common faults, for a quote simply contact us. Yes, although Indigo-GT will not willingly reveal any details to third parties regarding the services provided to our customers, an ECU Remap is a modification, as such you are legally required to inform your insurance company. CAN THE REMAP BE UNDONE? Yes, where vehicles have been remapped by Indigo-GT, we retain the ability to reinstall the ECU software that was on the vehicle when it was originally presented to us, certain vehicles will require us to update to the latest software version, this service is charged based on our hourly labour rate. WILL REMAPPING HARM MY VEHICLE? Providing your vehicle is mechanically sound with no underlying mechanical or electrical faults/weaknesses then a remap should not cause any harm but you should always consider the age and condition of your vehicle. There is always an element of risk when requesting more power from your vehicle and although we will complete a test drive to assess the vehicles performance prior to remapping, it's impossible for us to know the full condition of your engine and it's components, a remap is completed at your discretion. MY VEHICLE IS UNDER WARRANTY, IS THE REMAP UNDETECTABLE? The short answer is no, an ECU Remap is not undetectable, should your vehicle be returned to the main dealer, basic ECU functions will still operate as normal as all our software is based on the original manufacturer file, the ECU will ID and complete a DTC check as normal, however, should your vehicle be taken for a test drive, the improved performance will be noticeable. Main dealer tools are becoming more advanced and some, in particular VAG online dealer tools, are able to identify modified ECU software. For more information on how an ECU Remap may effect your warranty, we'd advise you to consult the terms and conditions of your vehicle specific manufacturers warranty.